Hello! I am once again joining in with Amy from love made my home for Five on Friday. 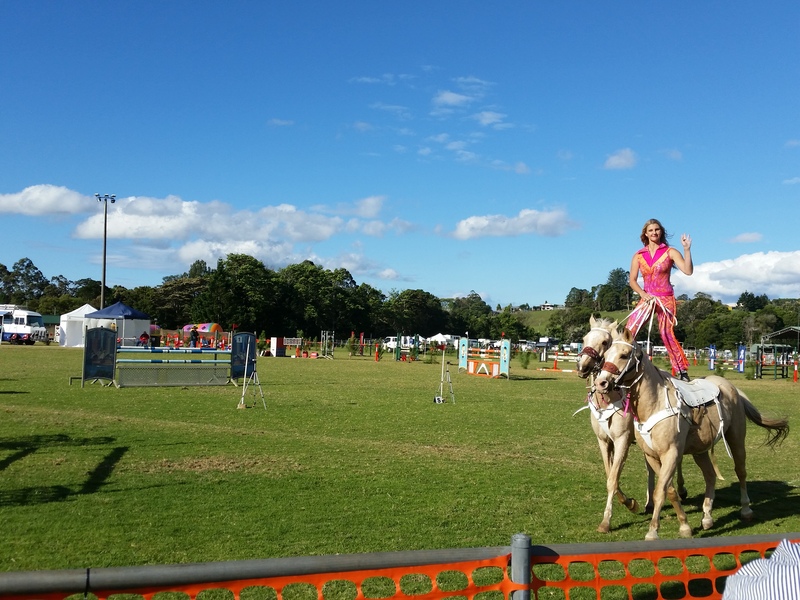 The annual Maleny show started today and we decided to take the day off to have some good old fashioned fun in the country. 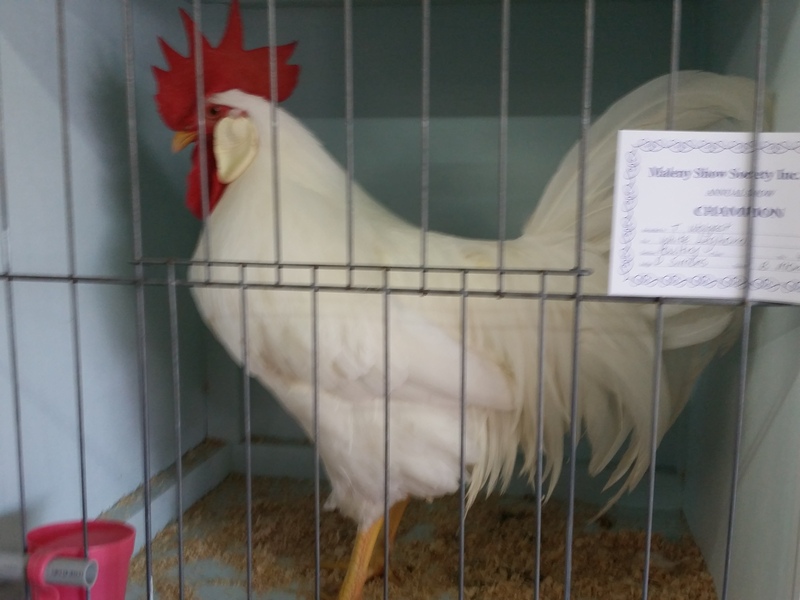 The Maleny show is a traditional agricultural show with all the things you would expect, horses, showjumping, cattle, sheepdog trials, poultry, rides, arts and crafts, cookery and preserves, and lots of food. Here are five snippets from our wonderful day. 1. The competitions were fantastic fun. 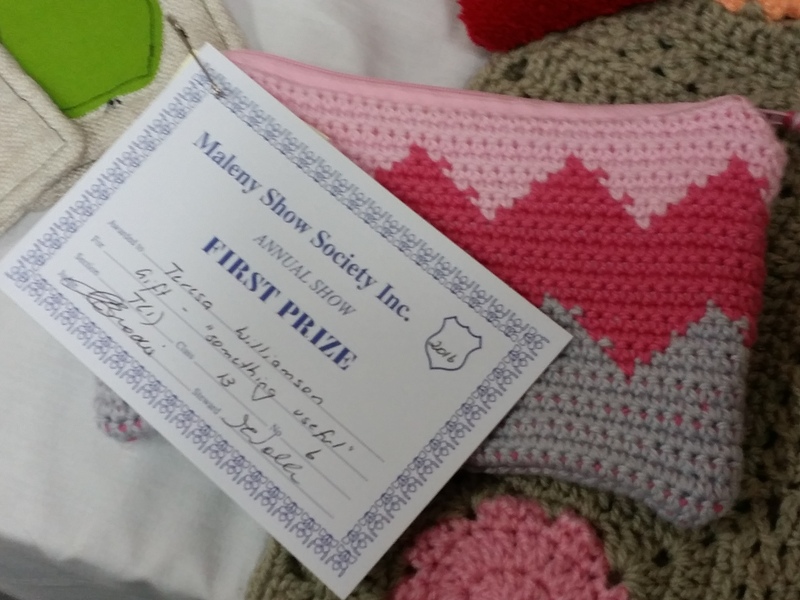 My youngest daughter and I decided to enter our little projects, and between us managed to collect first second and third prizes! I was so chuffed! The competition was tough, there were some very good exhibits. Remember my crochet zip purse from last week? That received first prize in the needlework ‘gift-something useful’ section. I couldn’t believe it! 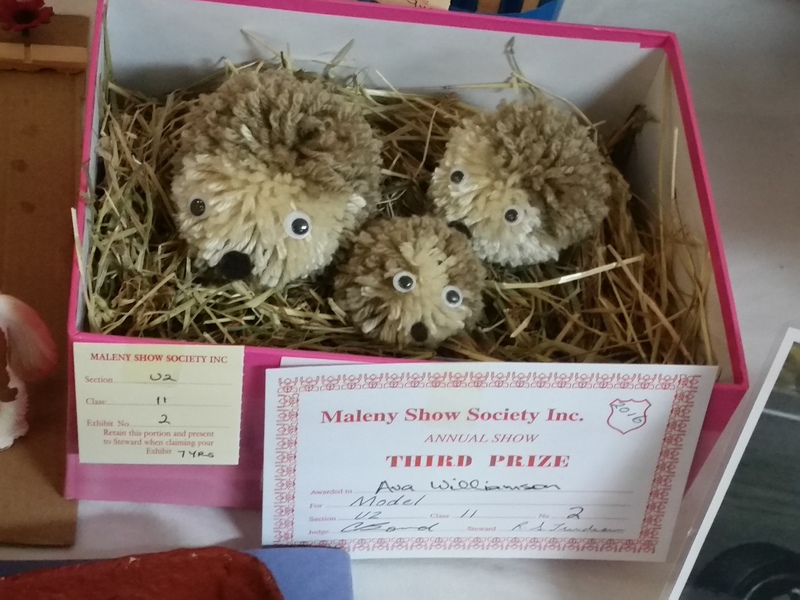 Ava got third prize for her cute little pom pom hedgehog family. 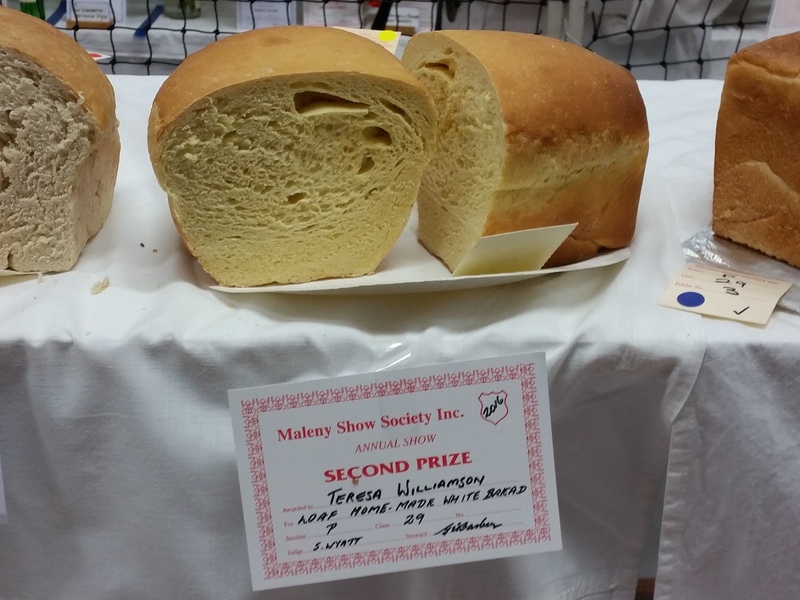 My bread received second prize! 2. 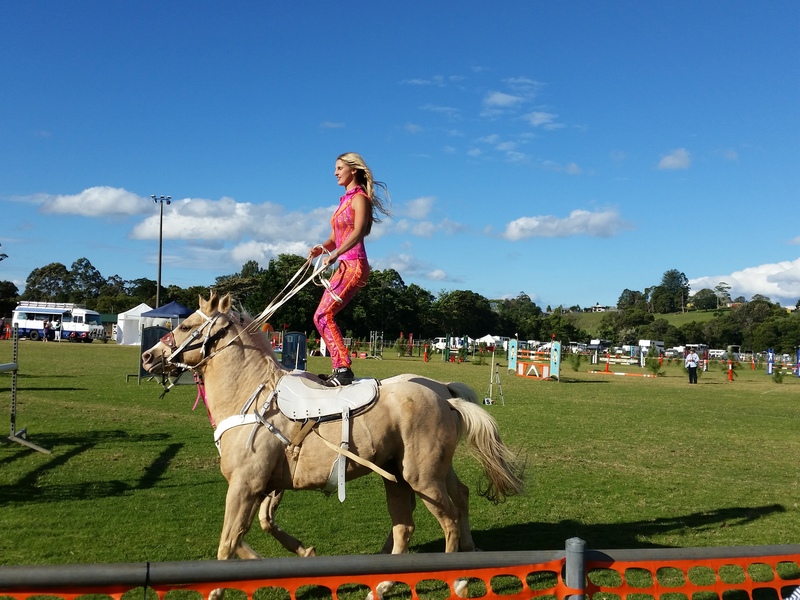 We enjoyed watching this horseriding stunt lady. Riding a horse normally is tricky enough for me. This is another level entirely! She even went over jumps like this! 3. 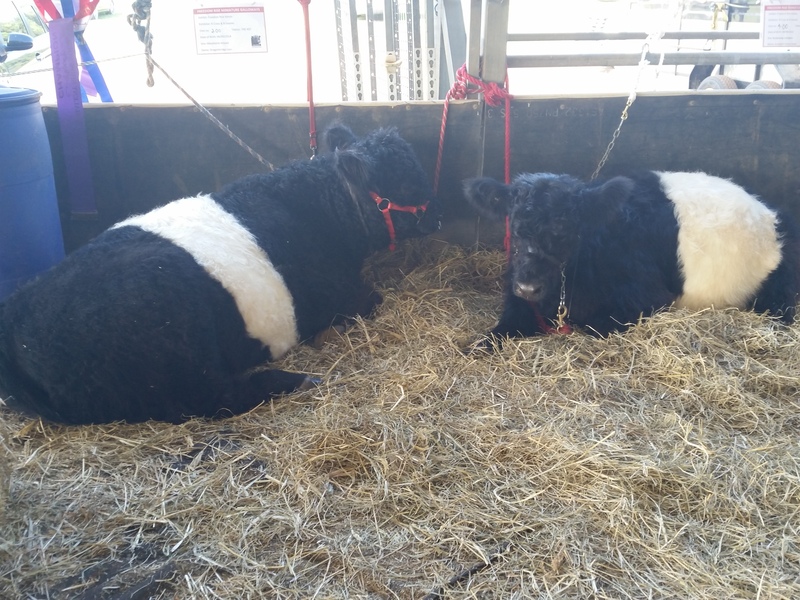 The animals were amazing, we took a shine to these belted galloways. Hubby rather likes these and is tempted to have some to help keep the grass down on the 10 acres we have. 4. The poultry were great too. The cockerels were enormous! This one was very splendid. 5. 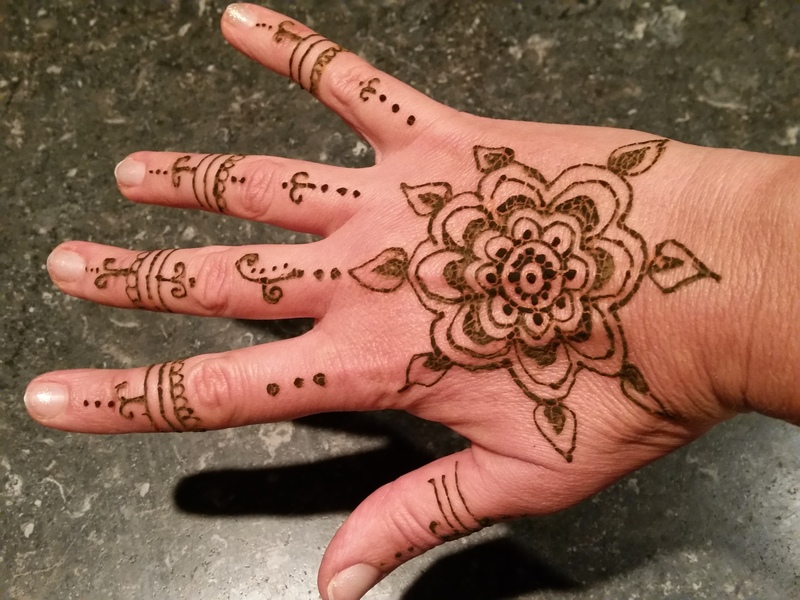 With my prize winnings I treated myself to a henna tattoo. It will last a week or so. I love these indian inspired patterns, so beautiful. Thats it from me. I would have taken more photos but we had five children with us which was a bit of a challenge! Grab a cuppa and take a look at the other bloggers joining in this week.